I had the pleasure of speaking to Paul from Salem, the British Metal Legends, about their upcoming album and what’s been happening since the last time we spoke. 1. What’s been happening since the last time we spoke? 2. What are your plans for this album? 3. Was the process of making this album different to the other albums? 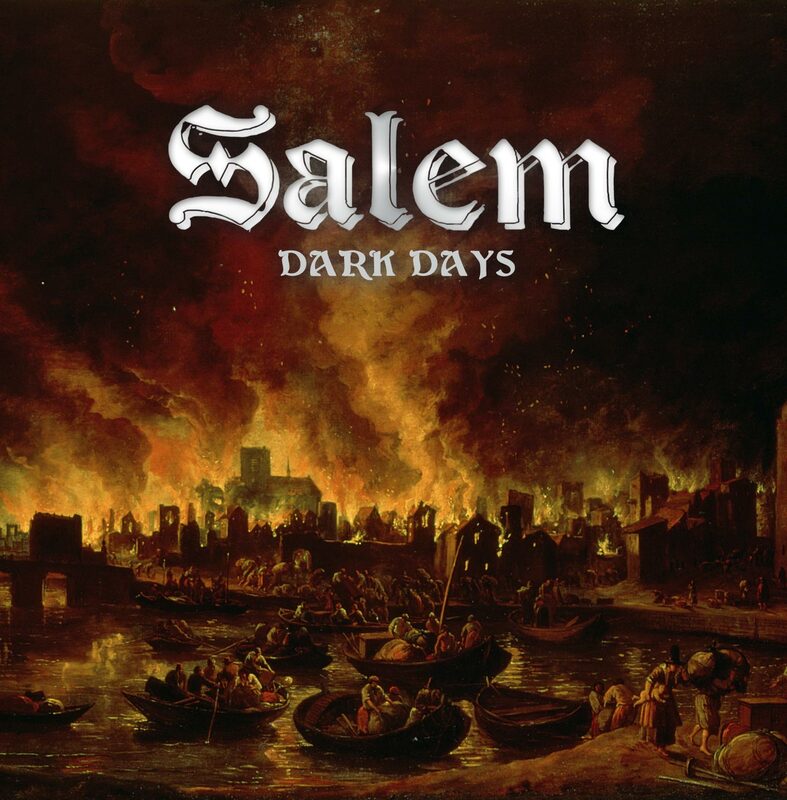 Salem was founded during the glory days of the New Wave of British Heavy Metal, in the late 1970s, and drew a decent following through the release of several demos, however, for some odd reason they never quite caught on and eventually disbanded. However, their demos remained hugely popular on the underground circuit, and as the band members slowly reconnected and played a gig, they were approached and asked if they’d be interested in recording. A compilation album with their demos was released in 2010, followed in 2013 by their first true album entitled ‘Forgotten Dreams’. Three years later, they followed up their stellar debut with their second album ‘Dark Days’. Dark Days, as guitarist Paul McNamara says was “Influenced by a lot of the confusing things happening around the world today, political, social and economic.” That is apparent by songs such as ‘Complicated’, ‘Lost My Mind’ and ‘Dark Days’ which speaks to the state of confusion that there is in the world and the sense that things really are getting quite dark and gloomy. The soaring vocals of Simon Saxby lend themselves well to the dark and thoughtful lyrics of the songs, showcasing his talent and vocal range. The guitar work is simply exquisite, with the epic Nine Months, showcasing the lead abilities of both guitarists, as well as their ability to hold down the solid changing rhythms as the song dictates. What distinguishes the guitar work on this album from their debut, is that it is more refined, whilst still keeping that solid gritty edge that earned Salem a legion of followers in their early days and since their return. The drums and the bass hold down the fort brilliantly, allowing the songs to really shine through, something that many other bands could take note from. The drums and bass might not be doing anything too fancy, but for the songs, it really works. Thus, the band sounds complete, it sounds whole, and really, considering the theme of the album, this only helps add to the heaviness of the entire record. Overall, I would say that Dark Days is a brilliant follow up to Forgotten Dreams, and will most definitely have held up to the test of time. If you are fan of heavy metal, and love bands that bring contemplative thinking to the heaviest of genres, you will love this album. Get it as soon as possible!